One of the biggest challenges to fighting poverty is understanding it. For those of us who have not experienced the struggle of poverty, we simply don’t understand the realities that our neighbors in these circumstances are going through. Therefore, our view can be distorted by misconceptions and misinformation. Those working to move out of poverty look a lot like us, but they also face unique challenges and choices. 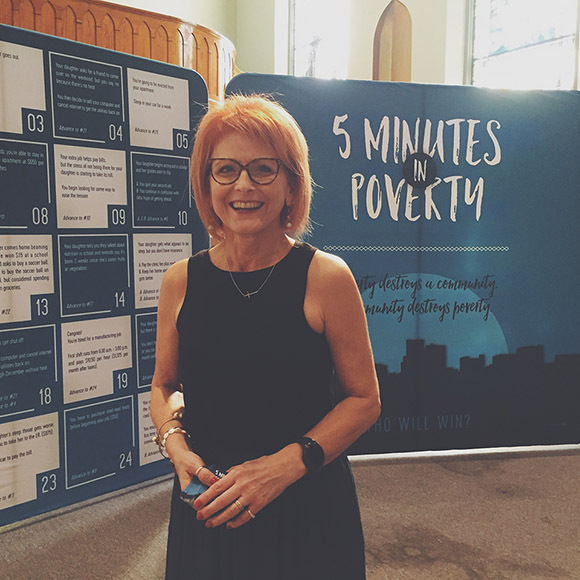 To help us as a community better understand some of these unique challenges and choices, we’re introducing the 5 Minutes In Poverty walk-thru display. This walk-thru display presents you with scenarios that a person in poverty might face, while providing solutions and action steps you can take to make a difference. We’re going on tour with this display and would LOVE to bring it (for free) to your business, church, or organization! 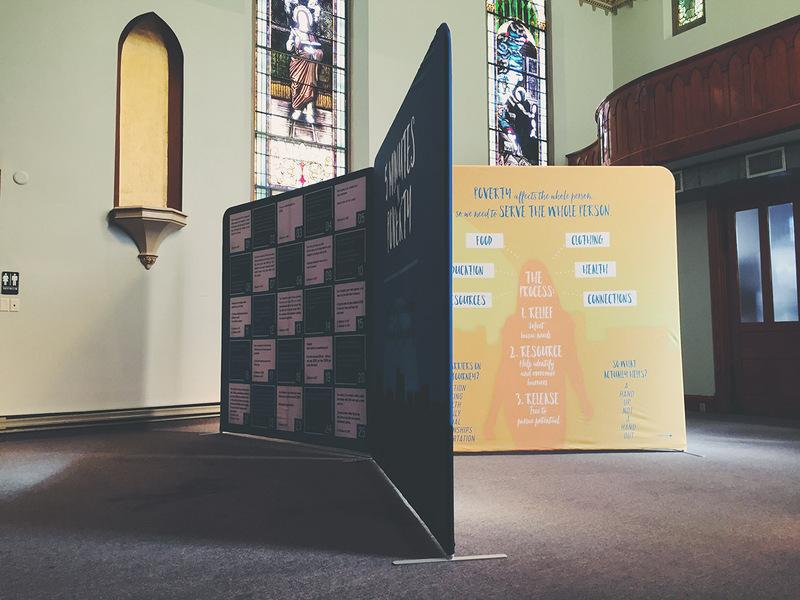 Whether as an event we staff or a standalone piece available for employees or church members to walk by on their own time, this display is designed to be an engaging resource to help people learn about poverty and get involved in building a better Evansville. Contact us to learn how you can bring this display to the people you know. P.S. – If you haven’t already, check out the 5 Minutes in Poverty playing card experience.